In its 2000 Millennium Declaration, the United Nations set eight goals for development, called the Millennium Development Goals (MDGs). These goals set an ambitious agenda for improving the human condition by 2015. Of the eight, we are happy to see that one of the initiatives target the empowerment of women and the promotion of gender equality. The initiative aims to eliminate the gender disparity in education by the year 2015, giving women all over the world an opportunity to raise their literacy rate, and thus, create empowerment so that women can be self-sufficient and able to care for themselves and their families better. While literacy is a human right, did you know that two thirds of all the world's illiterate are women? This is an issue that needs urgent attention, as women who are literate and have more education prove to be much more likely to have better personal health and nutrition. Moreover, the families of women with education tend to have better housing, clothing, income, water, and sanitation. Empowering women through literacy can truly be world changing. 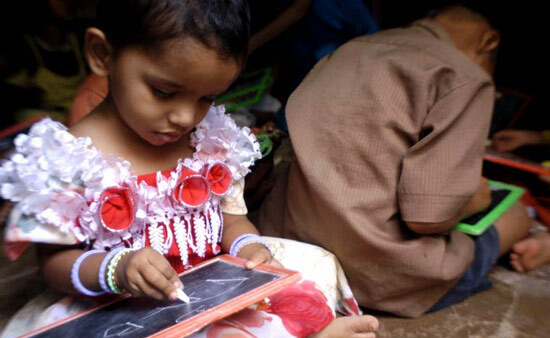 It gives us far more reason to spread these Girls Clubs for Literacy throughout the world. Will you help? We welcome you all to join the movement. Newer Post10/16: LitWorld Invites You to Our Benefit Concert! Older PostLitWorld Girls Club Harlem Will Be Part of Arianna Huffington's Book Tour!